Humans are hardwired to learn from each other – this is how the human race survives. If we see someone make a bad decision, chances are we aren’t going to want to make that same bad decision. But, if we see someone make a decision that brings them joy, profit, or is an otherwise good decision we are likely to want to mimic that. So how do we capitalize on this human tendency? The answer is simple – user-generated content. User-generated content (known as UGC) is content that is created by customers, visitors, clients, or fans. This is unpaid, organic content created by real consumers. This content could be anything such as photos, videos, testimonials, reviews, or social comments and are typically shared to a platform like Facebook, Twitter, Instagram, or Pinterest through a hashtag or by tagging the company. User-generated content is a component of social proof. The theory behind social proof is that we are more likely to do something – in this case, make a purchase – when we see that someone else has already done it. According to a study by Business Insider, shoppers who interact with UGC are 97% more likely to complete a purchase than customers who do not. How Can UGC Help Build Your Business? There is A LOT of marketing being thrown at us these days. For anyone running a business, or handling the marketing for a business – it is a struggle to have your voice heard in the sea of voices. Brands have to find unique ways to advertise themselves or be lost in the noise. This is where user-generated content comes in. User-generated content is predicted to be one of the biggest marketing trends for eCommerce businesses in 2018. Have you considered what UGC can do for your business? UGC is a cornerstone of creating social proof for your business, and social proof builds trust by showing your satisfied customers posting about their purchases. Customer reviews, especially reviews that include an image, help to build prospective customers confidence in your brand by providing information about how your product is functioning in someone’s everyday life. Reviews answer questions authentically, from someone who has actually purchased and used your product. Makeup company Urban Decay has a detailed review system on every product page that allows you to see a text review with an overall star rating, as well as a rating for ease of use and product quality. Utilizing UGC creates a conversation between you, interested shoppers, and the loyal customers of your brand. This conversation continues across multiple platforms. 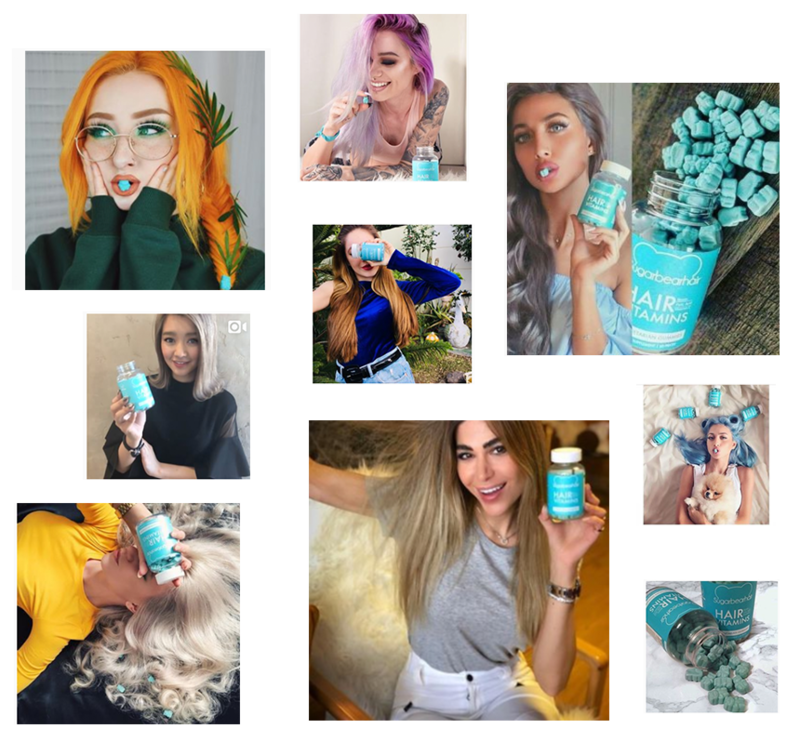 User-generated content connects people with the same interests, allowing you to promote your products to a wider range of people while boosting your fans and followers. Social content is an easy way to keep the line of communication open with your customers and interact with them. Giving your customers a shout out, or sharing their content is a great way to establish brand loyalty with that customer and obtain valuable user-generated content for your business. 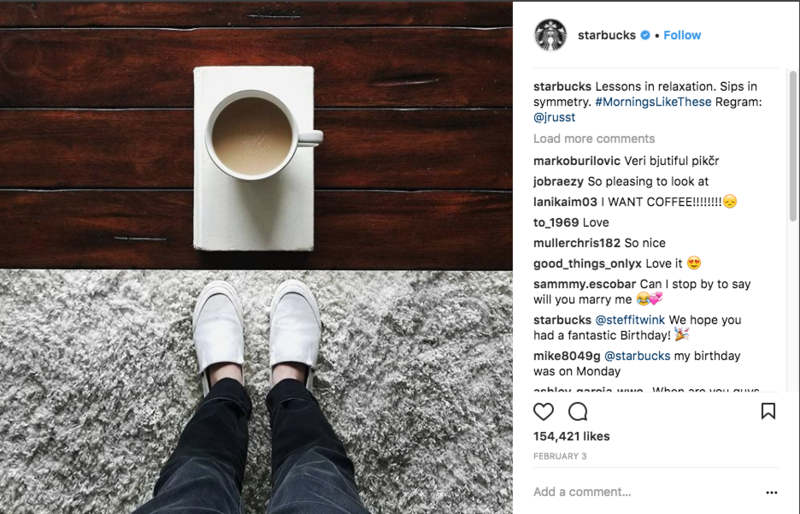 Starbucks is a master at using UGC to build their community – often “regramming” (aka reposting their followers Instagram content) and joining in the conversation by responding to comments. Since search engines rely on regularly updated, high-quality content to rank your pages, featuring user reviews, photos, and testimonials sends the message to the search bots that you are providing fresh, high-quality content to your audience. Encouraging your customers to leave reviews or comments on your product pages, or using an extension such as Yotpo to integrate an Instagram feed that updates with users images automatically onto your product pages will help with your SEO performance. Including user-generated content throughout your eCommerce website, including on your homepage, your product pages, and checkout page creates a dynamic shopping experience for your customers. It is also a good way to address different pain points that customers may have throughout the shopping experience with authentic customer experiences. Studies from Yotpo suggest that when a customer photo is added to a product page there is a 29% increase in checkouts. 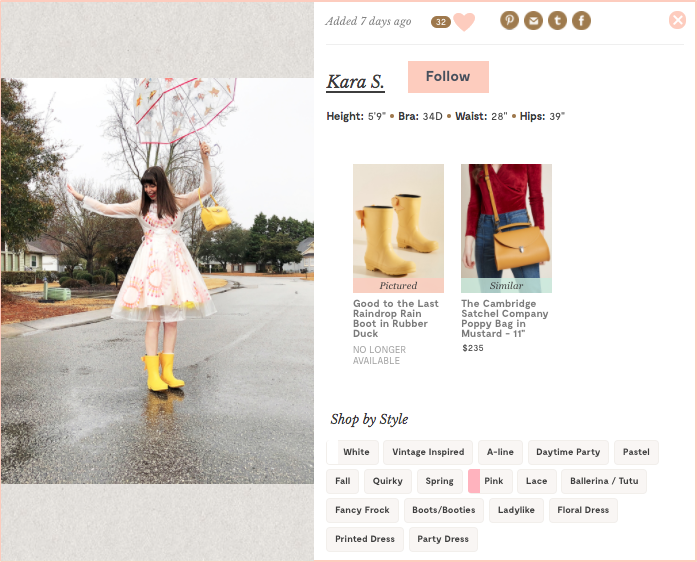 Clothing retailer, ModCloth, includes user-submitted looks on their product pages, giving potential customers a way to see how the item can be styled in real life as well as suggestions for other products on their site that the item might go well with. So How Do I – As a Merchant – Encourage UGC? Customers are more likely to leave feedback if it is simple. Make sure it is simple to review on your product pages with images and star ratings. Moderate these areas of your site so that when issues do arise you can provide a quick response. You may also want to consider running a triggered email campaign that sends an email automatically to customers a few days after they have made a purchase encouraging them to leave a review for their recent purchase. 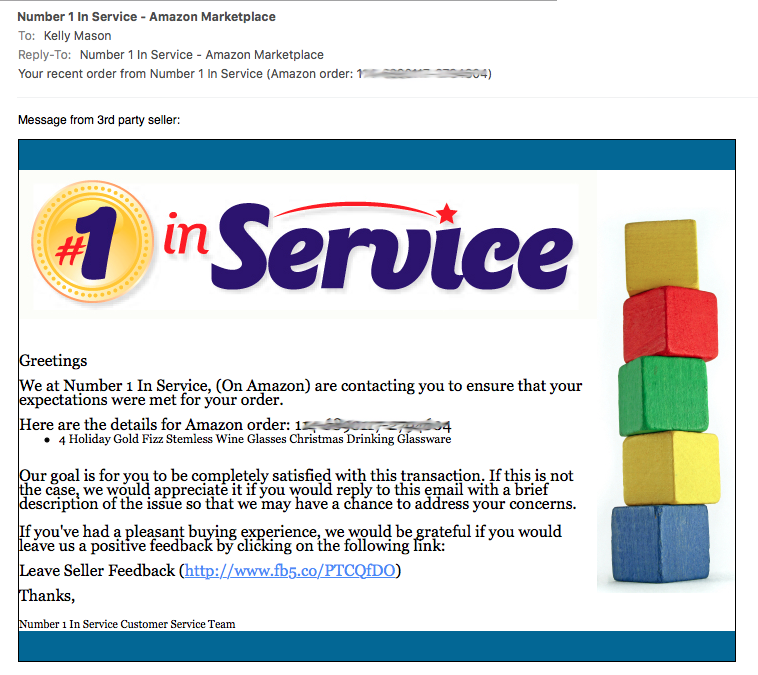 Merchants on Amazon regularly send follow up emails after a purchase is made asking customers to review their purchase. Additionally, If you run an email campaign encouraging customers to review, consider offering an incentive such as 10% off a future purchase for submitting their review, you will see a higher rate of engagement! Another tip to encourage reviews is to take the good reviews you get throughout your website, social media, and third-party sources and then turn them into social media posts to highlight that review. More people will be encouraged to review when they see reviews are being featured in multiple places. 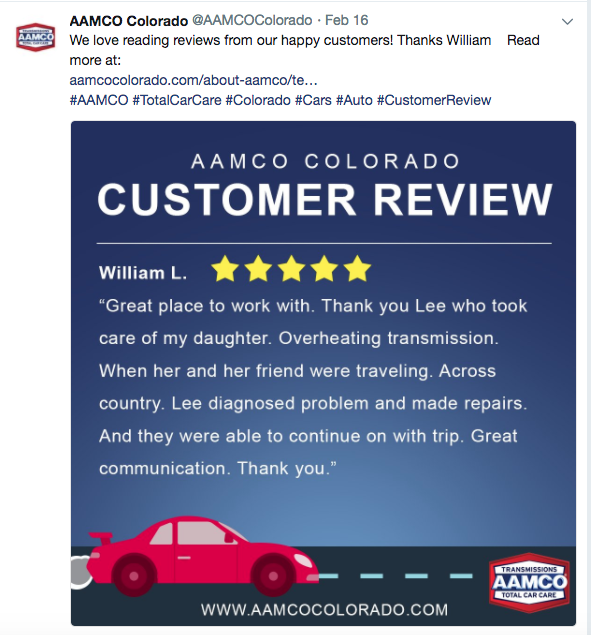 It’s a nice way to show customers their voice is being heard and their review matters. Create a brand-specific hashtag so customers can easily share and find content related to your brand on platforms such as Twitter and Instagram. This works particularly well for brands with physical products such as clothing, shoes, or makeup that customers are likely to take photographs of themselves wearing. Promote your hashtag on your website, marketing materials included your packaging, and on your social media accounts so that customers know to tag their photos with you hashtag when they upload them and it is easy for you to search that hashtag and see what your customers have uploaded. Keds uses the #KedsStyle hashtag to pull a feed of Instagram images that customers have shared with that hashtag on their website. Asking the right questions can open your social media community up to share their thoughts, images, and stories. Asking smart questions about your brand can give you unlimited user-generated content for your marketing campaigns. In 2014 outdoor goods retailed REI asked customers to if they would “Opt Outside?” with them on Black Friday. Meaning, would you spend the day enjoying outdoor activities instead of being inside shopping on Black Friday. They asked their customers how they would spend their day opting outside instead. While the Opt Outside example is on the extreme end of how asking the right question can spark user-generated content – this one question sparked a whole movement now in its third year and going strong. With the #OptOutside hashtag, millions of customers share their stories, photos, and videos – all sparked by that one little question….will you opt outside? You can now even search ideas for how you might want to opt outside this year, based on things customers have submitted in the past. While you may not have the next Opt Outside ready to blow up at your fingertips, you can see the power in a well-crafted question to get people sharing. 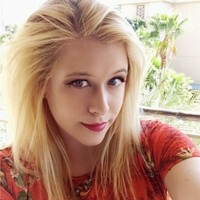 For example, if you own an eCommerce shop that sells women’s accessories you might create a post that shows all of your winters scarfs lined up and ask “How do you stay stylish and warm this winter?” encouraging your customers to post their own photos of how they have styled your scarfs with their outfits. Contests and sweepstakes are not a new tactic. But, there’s a reason they’ve been around in the marketing mix so long – they can be a great way to get customers engaging with your brand. However, rather than simply creating a context where customers enter their email for a chance to win, create a contest where your customers have to share a story, photo or video to win. In 2016 Nair ran a weekly summer bucket list contest – I remember this particular contest because I entered it! Who wouldn’t want the chance to win $2,000 in cash? You had to submit a photo each week that fit with the theme they posted and an explanation of 100 words or less. You didn’t need to necessarily have to have a Nair product in the photo but the themes were typically summery, beachy, sitting by the pool etc. – things you would want to have nice smooth skin and legs for – the look that fits the Nair brand. You had to submit your photo through Instagram using their hashtags – #NairSummerBucketList and #Nair. I didn’t know it at the time but they were using this contest to generated UGC for their brand. I never won, but I assume it worked pretty well – giving them plenty of seasonal content tied to their brand’s hashtag. Involving influencers is a great way to kick-start your UGC efforts (not to mention a great way to help you build that social proof when you are getting started). Influencers have a large number of followers, and if you are just starting out they might be able to reach a much wider audience than you are able to. They also tend to be far more effective than businesses at getting a response from their audience – typically their audience looks up to them or idealizes the lifestyle they portray. If you find an influencer to work with to promote your product, their audience is likely to buy that product and start posting about it the same way your influencer does to try to emulate their lifestyle. You can see this in action all over the place – although particularly on Instagram. 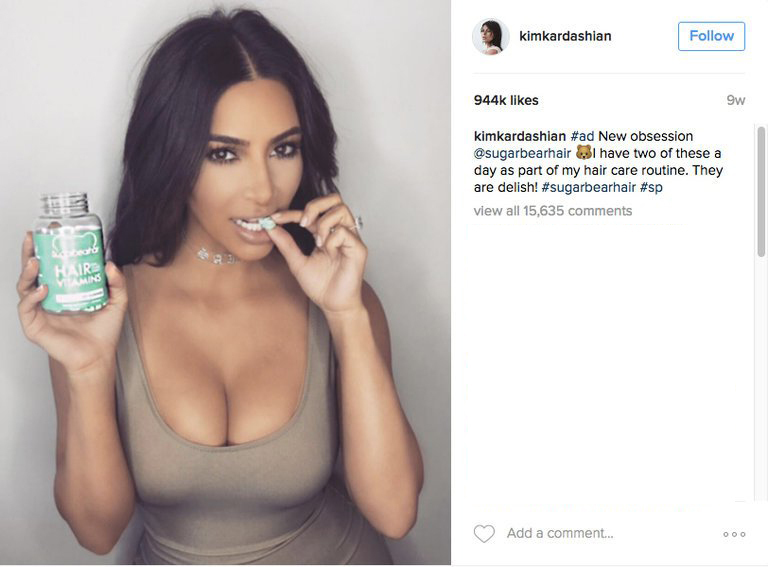 The now-famous Sugar Bear Hair Gummies blew up when the Kardashians began posting photos posing with them on Instagram – suddenly they were flying off the shelves and photos of the tiny blue bears were popping up on Instagram accounts of all shapes and sizes. You can see the original Kim Kardashian post on the left and just a sampling of the thousands (yes thousands!) of UGC content posts that followed on the right. Make it easy to manage your UGC. Whether you are on Magento 2, Shopify, or BigCommerce there are a number of integrations that can help you manage your user-generated content and how it interacts with your store. We particularly like Yotpo, they are one of our partners! They make it easy to curate all of your user-generated content from across the web and integrate it into your eCommerce store all from one simple dashboard. Need help finding the integration that is right for your business? Talk with one of our expert eCommerce strategists today. User-generated content is becoming increasingly important to marketing strategies across the board – especially eCommerce where the completion is at an all-time high. eCommerce businesses should start thinking about integrating user-generated content into their strategy sooner rather than later. What do you think – is user-generated content going to take over old-school advertising? How do you see these new methods affecting eCommerce? Let us know on Twitter or Facebook! Want to get started with a new digital marketing strategy for your eCommerce business? Implement a new extension to help you sell more? Connect with a member of our strategy team today and start reaching your eCommerce goals.